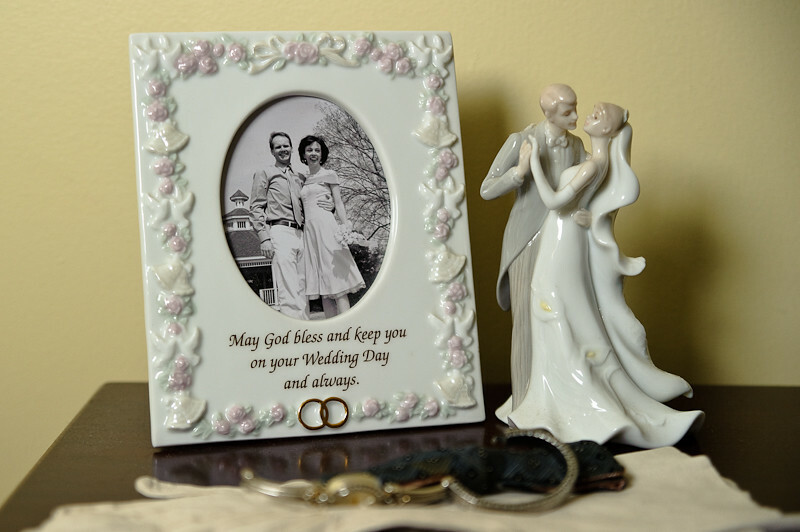 On the top shelf of a small bookcase in our bedroom, there is a photograph from our wedding day and our cake topper. They remind me of the day that I married my best friend. I’m very blessed to have Jamie as my wife. I have been told that we complement each other very well. I think, it’s because we keep God in the center of our marriage and as long as that is where our focus is, we will always have a bond that can not be broken. That’s awesome, Ken. So very true.